the other day when mr. bunny-ears was lounging on our bed, he seemed somehow timeless – like he could have been of a different generation of dog. a few weeks ago, we revealed to you gonzo’s heritage through his extremely authentic breed report. and yet, we always wonder with our dogs. what were their parents like? their grandparents? did they look alike? was their personality similar? where did Gonzo get his ears, and where did Chick get his extreme cuddliness? with rescue dogs, it’s always a beautiful mystery. We always wonder about that with our two. I just wish I could’ve seen them as puppies! We got Havi when she was 1 nad had been in three foster homes and 2 shelters. We always wondered what her first year was like, where she was born, what she looked like, if she knew her parents! Hahahaha! I had missed Gonzo’s Very Official Breed Report, but I’m glad I got a chance to look at it. It all makes sense, now! Timeless and so very chic. That photo could be a magazine spread! 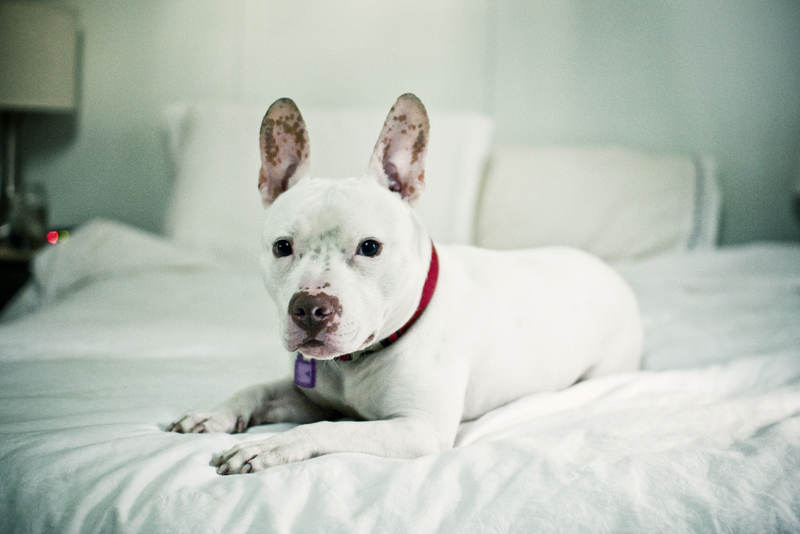 I love this photo of Gonzo on your bed – his body blends in with your bedding and then his ears just *pop*! I’m with Two Pitties in the City -this photo belongs in a magazine! Gonzo is the Clark Gable of doggies! Make that 3 with Two Pitties – magazine, poster photo for sure. 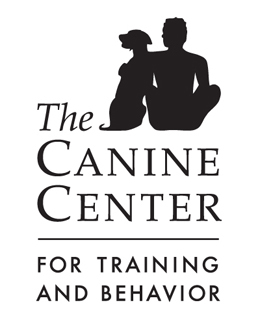 One thing I know for sure dealing with multiple and ever changing rescue dogs is to use time – first, they need time to de-tox from where ever they came: either a home like Cane RIP or feral like Monk. Only after they have had time during which I get to observe behavior, do I start to demand more of them using NILIF. Sit for a treat, sit for your meal – and then ‘Leave it” till I tell you you can eat (sometimes this can be hilarious; sometimes bordering on dangerous). I love way you describe getting to know rescue dogs as a mystery. I enjoy mystery. The past is past. Let’s work on the FUTURE! I counsel my adopters to allow time as well – for all. Great post. I always look forward to seeing Gonzo Bunny-Ears :). Make it 4 with Two Pitties. It really is a beautiful picture. So what ever happened to Gonzo’s pink stuffed girlfriend? And that is definitely a magazine-worthy shot! You could sell dogs or beds with that picture! I like to imagine Tommy as a tiny pup, milking from his mom. I’m sure he elbowed all his pittie brothers and sisters away to make sure he got first dibs; he’s such a bully! It makes me a little sad that I didn’t get to see him then, but I love the way you put it: a beautiful mystery.